Learn how to earn money from your blog.Well, friends, I can see a smile on your face and lot of curiosity. That’s obvious and natural. If you have a blog, I understand you have spent a great deal of time and also money in ensuring it works fine. You have dedicated endless hours of your valued time to ensuring it steadily attracts traffic and most of all you have used so many tools, tips, tricks to ensure it survives in the competition. So, after so much hardship, it is natural for you to expect the blog yields you profit. So, now without wasting more time, let me tell you how you can earn money from your blog or in other words how you can monetize your blog. So that you keep your curiosity on and read the tips carefully, I must say if you can develop a really great blog, you can earn as low as thousands of bucks a month and as much as lakhs and sometimes for special blogs, the number could only rise. Amazed? Read on! 2 How to make money from your blog? If you are a newcomer to the world of blogging, this is for you. Blogging is the act of publishing articles that are interesting and passes readers valued range feedback, in the different language, when you blog, you write articles about some specific topics that are beneficial and useful to a set of target audience. If you can consistently write good quality articles that solve problems for your audience, you can expect a good traffic on your blog. Once your blog becomes popular, you can slowly but gradually become the influencer in your niche thereby improving the possibility of getting more traffic. Now the important part! There are thousands of articles posted on the Web about how to make money blogging. Most are lengthy and sometimes convey a message to any advertisers. I will cover only what is important and what is useful for you to know. See there are generally a few ways to make good money from blogging. 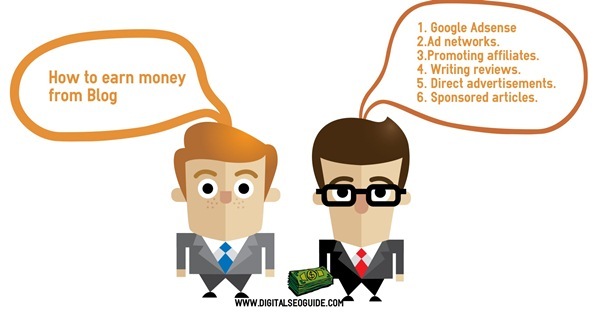 Make money from your blog using Google AdSense. Make money from your blog using different other ad networks. Make money from your blog promoting affiliates. Make money from your blog writing reviews. Make money from your blog by direct advertisements. Make money blogging by publishing sponsored articles. A lot of blogs are earning money using affiliates ads such as Amazon affiliates. 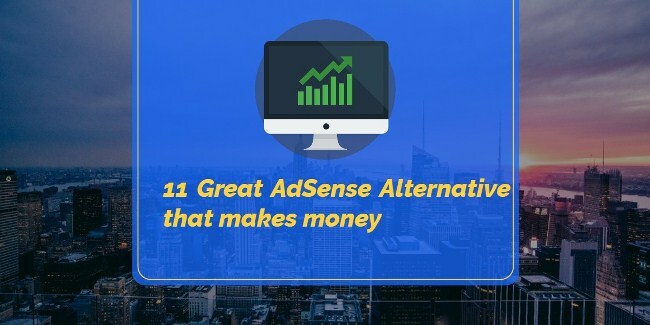 The concept of affiliate ad is that you will promote the product of your affiliates and if your readers click the ads and then buys something from their website, you earn. Promoting affiliates are good, but you, however, need to be choosy about picking up a good partner. Choose a good product for your blog, write quality content, promote affiliates who can add value to your blog. If your blog is good and that if it gets traffic, you soon start receiving the offer for promoting products from companies and services. They offer a set of an amount to write good reviews about their products. This can help you earn some good amount of money. But it is very crucial for you to write reviews of those products which you have tested yourself. Be honest about what you inform your readers. You have become a good blog because of your readers not for products which want you to promote them on your blog. So, write reviews of good products which your readers can find values in. If your blogs have a good set of traffic, you can actually yield value by featuring advertisements on your blog. There are companies who might be interested in featuring their ads on your blog. You can charge them well if your blog has a good amount of traffic. Direct ads can help you gain the good amount of money if your blog is popular. This is also called guest posting. If your blog is popular, companies can approach you to write on your blog. They will write content around their products and messages and request you to publish that in return for paying you some good amount of money. Guest blogging is great. You need not write anything. They write they pay you. But for that, you need to be very popular. These are some of the 6 ways which you can use to start earning money from your blog. However, you can only earn money from your blog when you have a dedicated base of audience. You need to have great content. You need to be active on social media and reward your readers. In simple words, you can earn good money from your blog after you have built a good readership. Dear Arpit, Thanks for describing information you are such a great passioner and consultant such a great digital way in content.